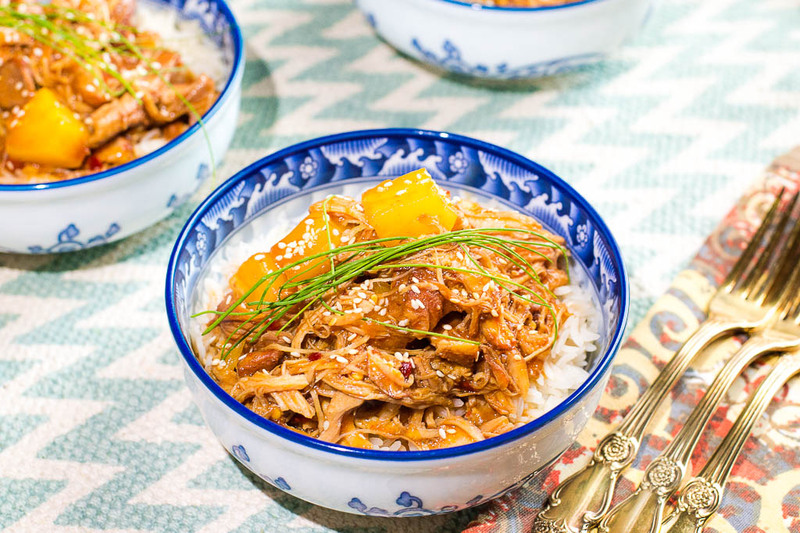 This Instant Pot Chicken Teriyaki is the bomb dot com. I do have another lengthy recipe for an original Sarku Japan chicken teriyaki. However, today’s recipe will concentrate on the shortness of time to cook something delicious, without compromising on taste. It is a very, very easy recipe, really. My family also loves it when I add pineapples to it. You can omit this step, if you do not like adding pineapples to your food. In a small bowl mix all the ingredients of the marinade. To make it faster, I chop onions and garlic together in a chopper. Whisk all of the sauce ingredients well. 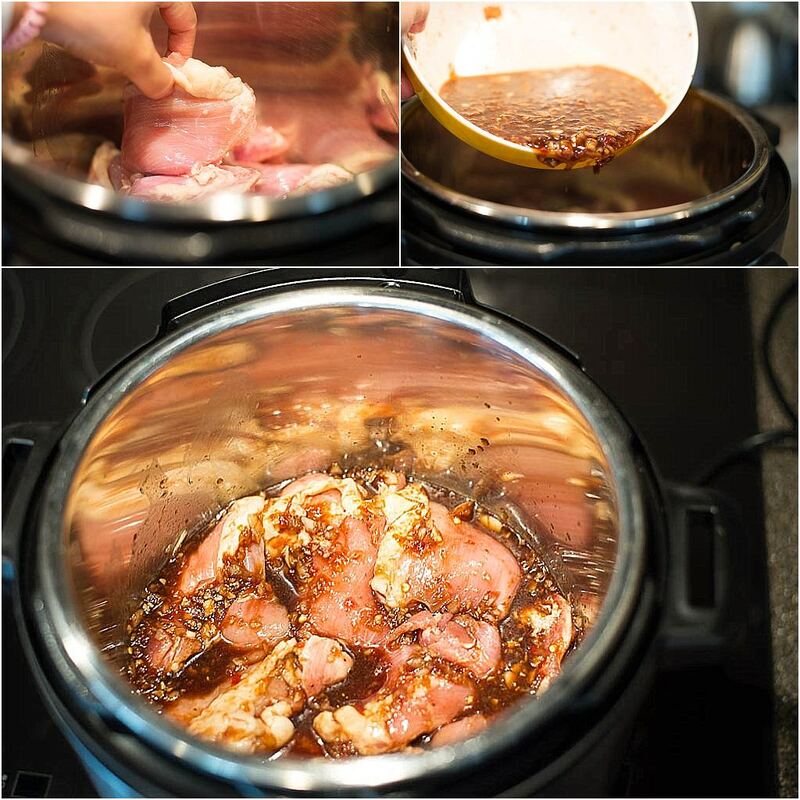 Place chicken in the Instant Pot, pour over the sauce. If you have pieces of chicken like I do, move them around a little so that the sauce covers everything. 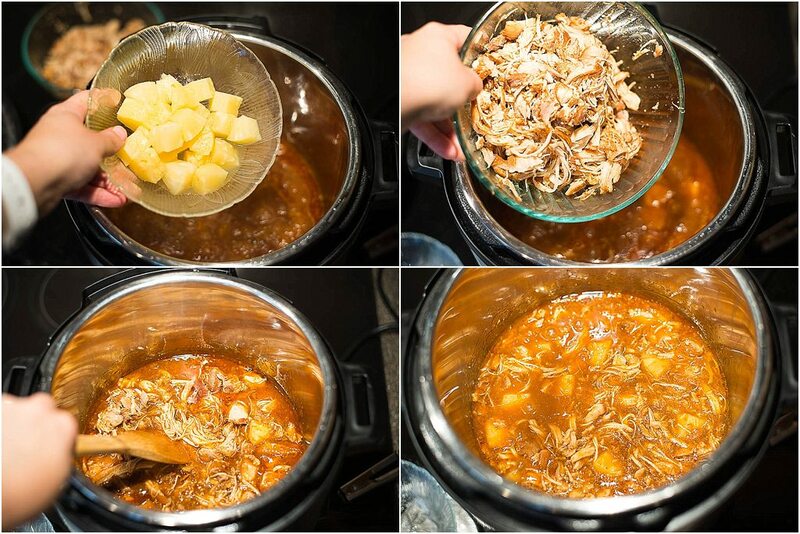 Set the Instant Pot on Manual, HIGH pressure, 10-15 minutes. Generally for chicken thighs I use 10 minutes and 15 minutes for breast. All depends how shredded you want the chicken to get. Close the lid and the VENT of the Instant Pot. Once the time is up QUICK RELEASE the vent of the IP. 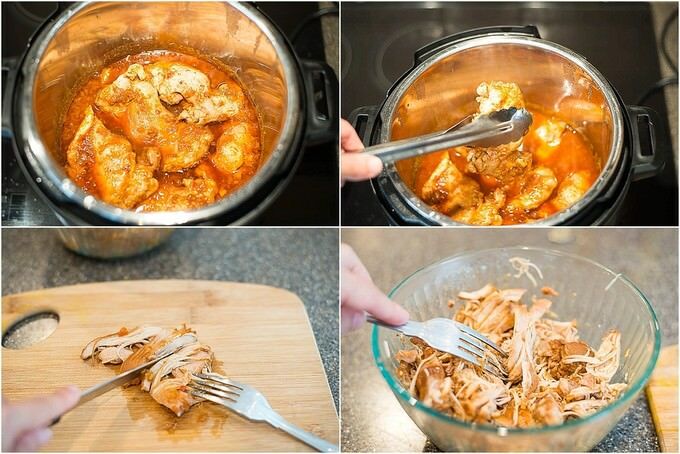 Take out the chicken from the pot and place it in a medium bowl. Shred the chicken and set aside. Set IP on SAUTE mode (you can set timer to 5 minutes. This process will be done in 1 minute). 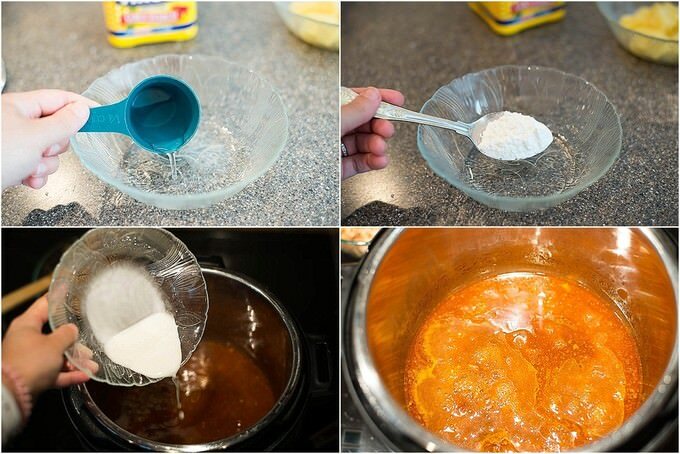 Mix 2 TBSP water and 1 TBSP of cornstarch in a small cup. Add the cornstarch mixture into the IP and let the sauce come to boil. Since the pot is still hot, this will happen in a jiffy. Add 1 cup of pineapple chunks, add back the shredded chicken and mix ingredients together. Cornstarch will thicken the sauce and give a nice gravy, which goes really well with any side item like rice, quinoa, or cauliflower rice. Garnish with scallions, sesame seeds and serve with the choice of your carb. 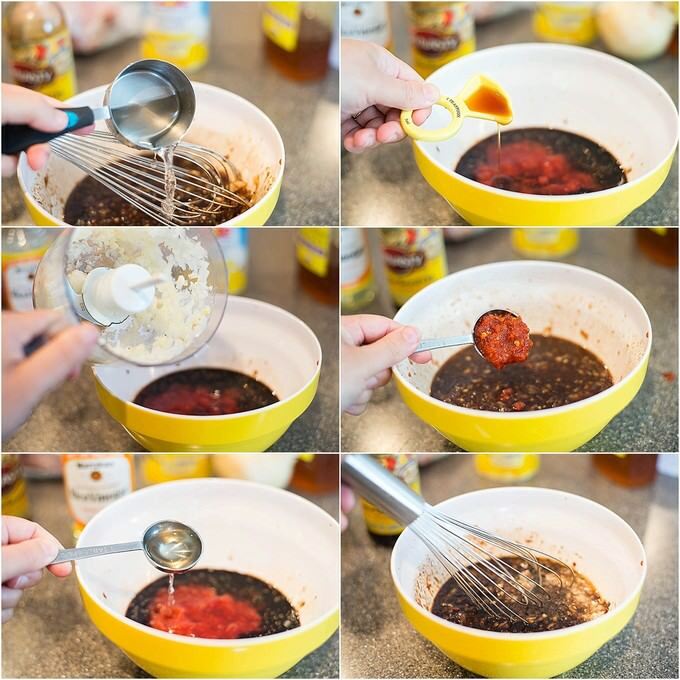 1/4 cup honey can be substituted with brown sugar, agave syrup, etc. In a small bowl mix all the ingredients of the marinade. To make it faster, I chop onions and garlic together in a chopper. 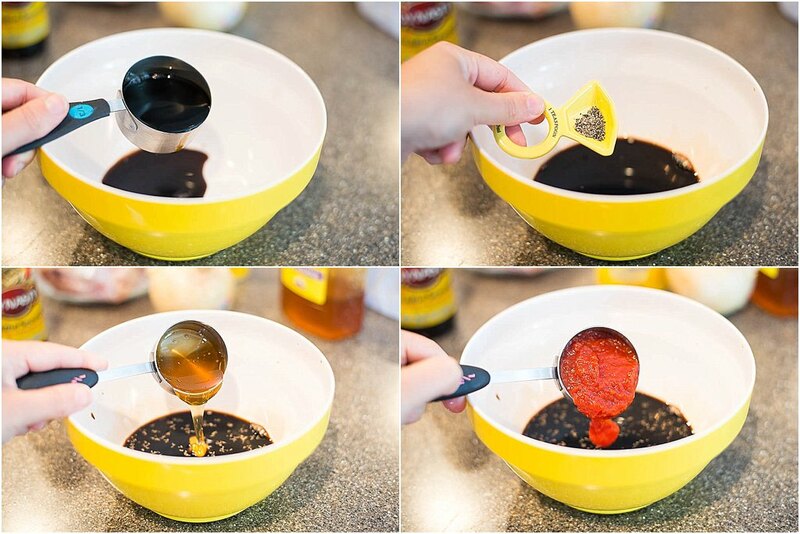 Whisk all of the sauce ingredients well.